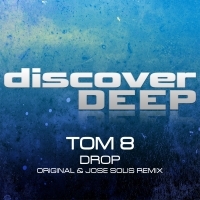 Polish producer Tom 8 debuts on Discover Deep with 'Drop', a deep flowing euphoric original with a gorgeous soul and sound. Jose Solis joins us on the remix with his larger dancefloor interpretation - it's a bit of a banger this one! 'Drop' is available now from Beatport and iTunes.